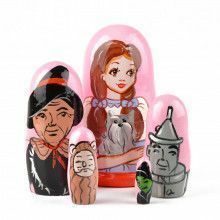 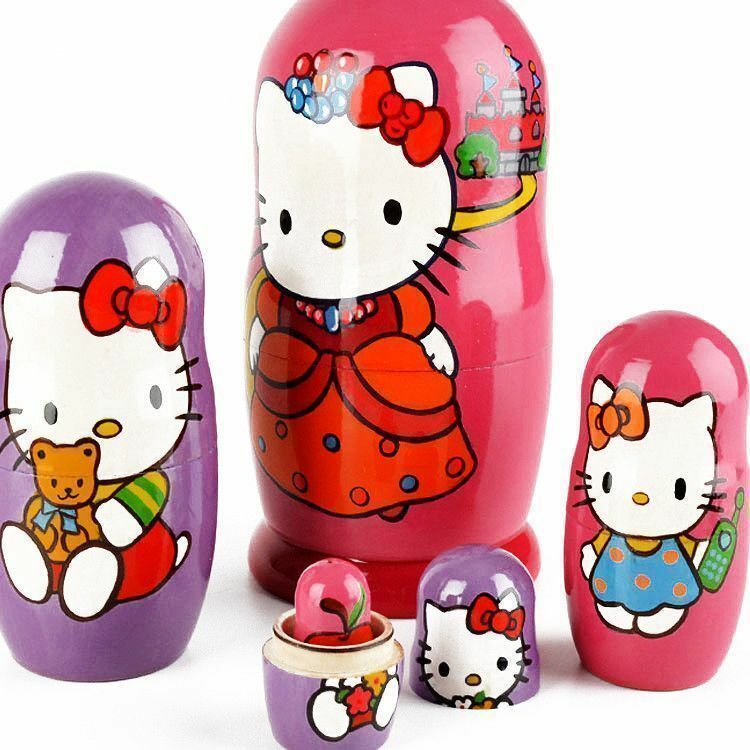 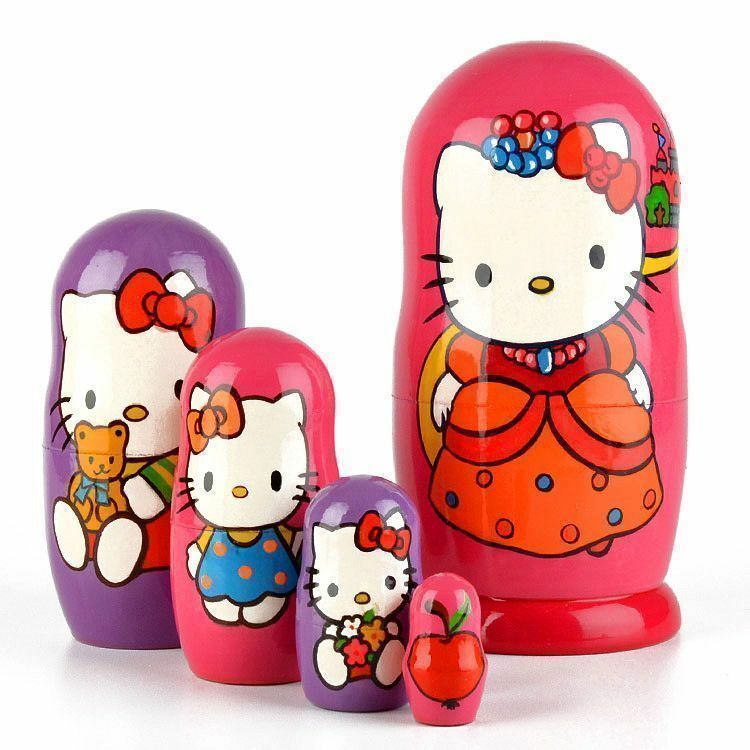 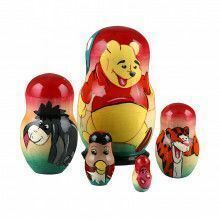 This fun nesting doll from Russia features Hello Kitty painted on the front, with pink and purple backgrounds. 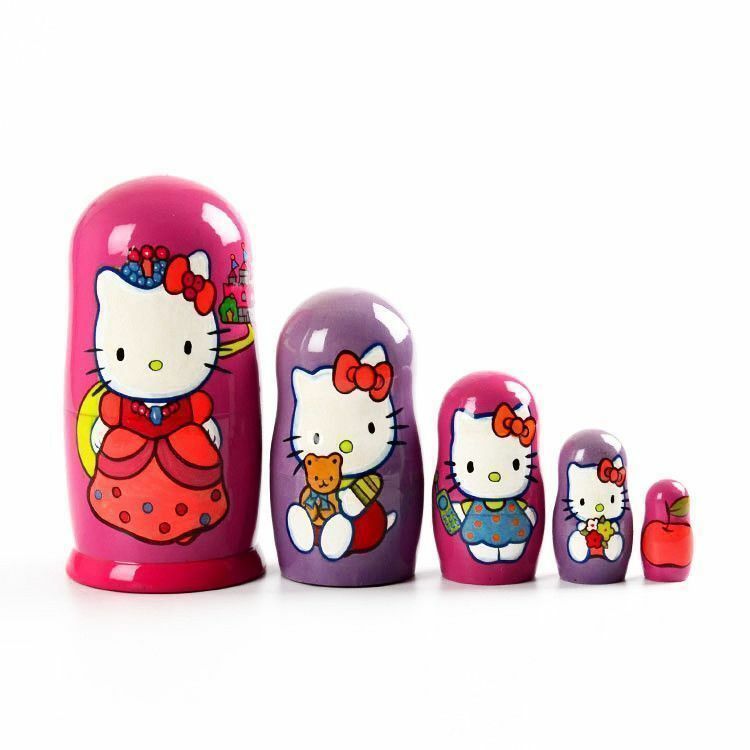 This nearly 6 1/4" tall stacking doll is a great choice for a young girl's toy, or a wonderful addition to anyone's Hello Kitty collection. 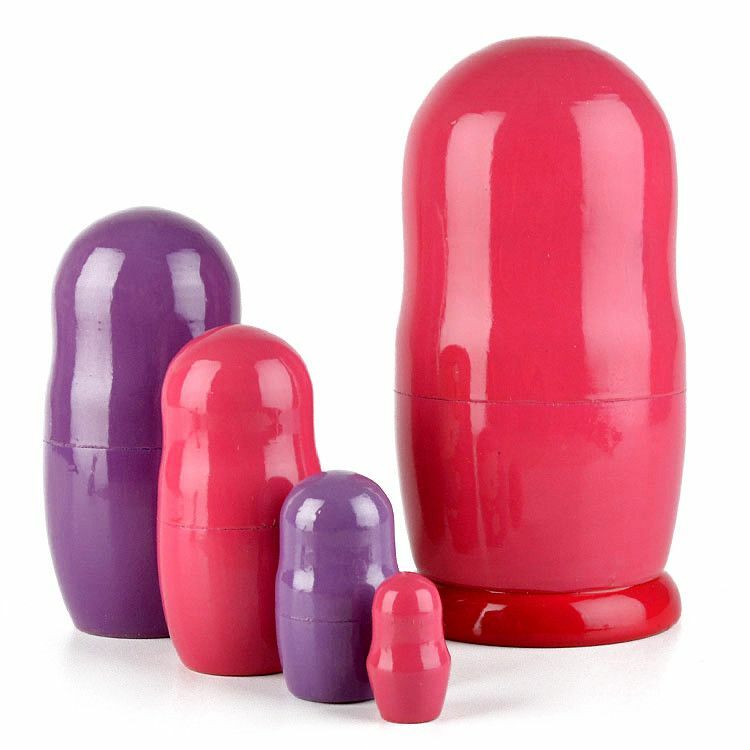 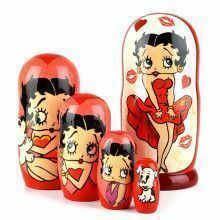 It features bright, vibrant colors and has been highly glossed.